Excellence In Medical, Surgical, & Aesthetic Dermatology through Physician-Driven Care. 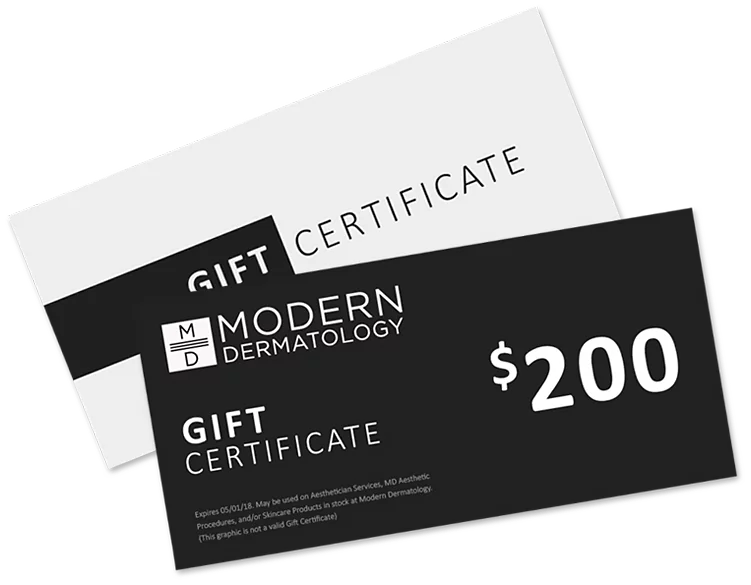 Modern Dermatology is dedicated to creating the best possible patient experience while providing the highest quality care. We are committed to caring for every facet of your skin and doing it exceptionally well. Our caring, smart and capable staff are passionate about what they do, and it shows in the kind words and reviews we receive from our patients. Dr. James C. Collyer, Dr. Carly J. Roman, and Dr. Heather D. Rogers are highly-qualified, board-certified dermatologists. Our dermatologists are dedicated to staying abreast of the best, safest, and most appropriate treatment for varying dermatologic concerns. They work one-on-one with patients to educate them on skin conditions, products, procedures, and proper lifestyle choices for a comprehensive approach to skin care. We are a highly specialized team that has helped thousands of patients with skin conditions varying from skin cancers, acne, psoriasis, hair loss, skin surgeries, and cosmetic concerns. Explore our Medical, Surgical, MD Aesthetic, and Aesthetician services. If you can see it, we can evaluate and treat it. Eczema, acne, rosacea, warts, allergic reactions, psoriasis, rashes, and more. Skin cancer, changing mole, or just a bump you do not like? We can make them go away. We also treat scars, growths, and more. Injectables, cosmetic treatments, laser and light procedures, and more performed by our board-certified Dermatologists. Treatments for unwanted fat, skin tightening, laser hair reduction, facials, acne and more . Kind words from some of our fantastic patients. I have had Mohs surgery on several occasions on my face and you cannot see any of the scars. I have recommended Dr. Rogers to several of my family and friends and they have all had the same great service. I have been a patient of Dr. Rogers' for 2 years. I see her once a month. She is a wonderful physician and surgeon who is compassionate, approachable and extremely knowledgeable on the latest developments in her field. I have seen Dr. Rogers twice, and I'm very impressed. She is very easy to talk to, very knowledgeable about the latest dermatological discourse, and I trust her 100%. Very pleased to have found this practice! I have been a patient of Dr. Collyer's for almost 10 years and I could not recommend him more! He never tries to sell me on expensive products, procedures or anything I don't need. I've been seeing Dr. Collyer for years and was thrilled when he opened his own practice. The staff is very professional, accommodating, and always smiling! Dr. Rogers is fantastic, I cannot recommend her enough. Very knowledgeable, compassionate, and respectful (of time, space, and privacy). They offer medical and cosmetic procedures which makes it a great place... to keep you and your skin healthy... you will definitely get the highest quality care. I am positively delighted with the results by Dr. Collyer... It's such a relief not to feel insecure in public anymore. Definitely recommend. We take special pride in sharing that each product in our office has been carefully and professionally selected. Everything we offer has achieved the highest dermatological standards, is created with the finest ingredients, and delivers clinically proven results. Created by Dr. Rogers to hydrate, replenish, and protect your skin. RESTORE® is a refined product of only a few quality, plant-based ingredients: castor seed oil, castor wax and glycerin. Being free of fragrance, parabens, preservatives, fragrance and common allergens ensures patients are only exposed to ingredients that help with their recovery without the risk of irritation, allergy or absorption of unnecessary chemicals. Our expert dermatologists have been featured by many publishers. Explore our press articles below.